The core of the round table is represented by the transparency of its main elements, the acrylic cylinder and the glass top. This configuration aims to make the structure disappear, allowing the central geometry of the connection to stand out, suspended in the middle. 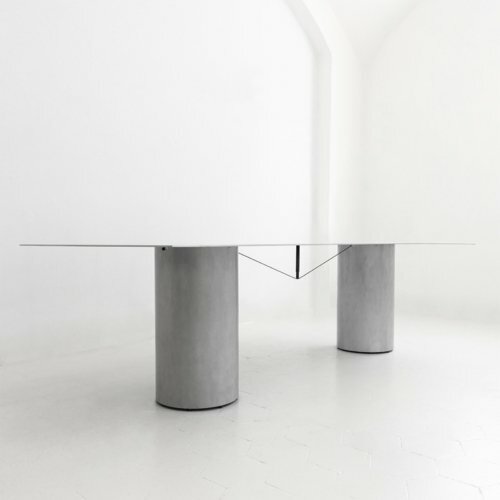 It highlights the construction principle of the piece, in which the joint plays a major role both under a functional and visual point of view.The base of the table is tightened to the the top through a subtle gesture. 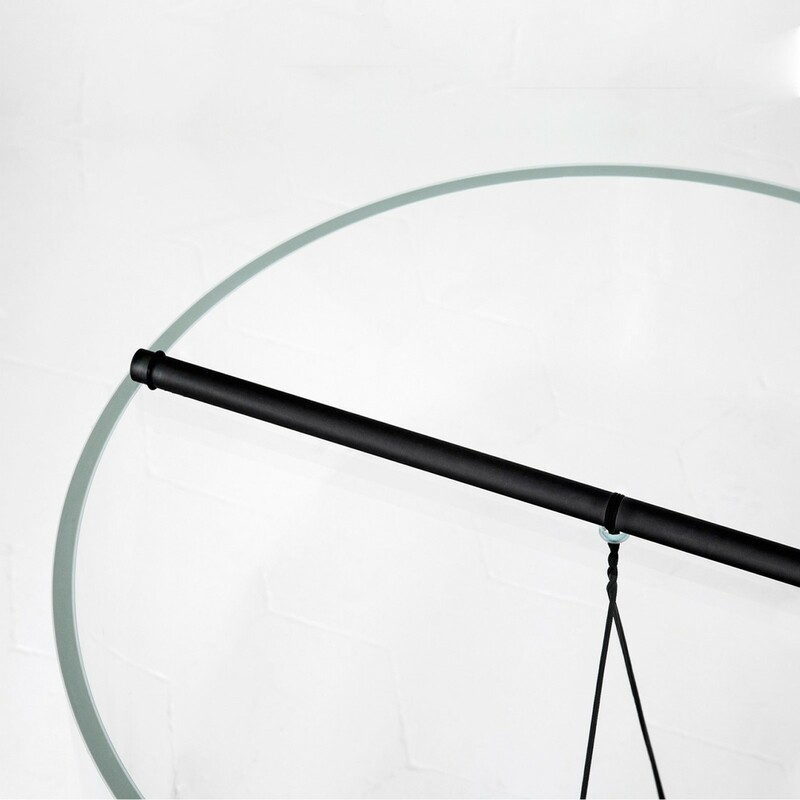 In fact, the rotation of the central bronzed steel stick increases the tension of the rope by twisting it around itself. 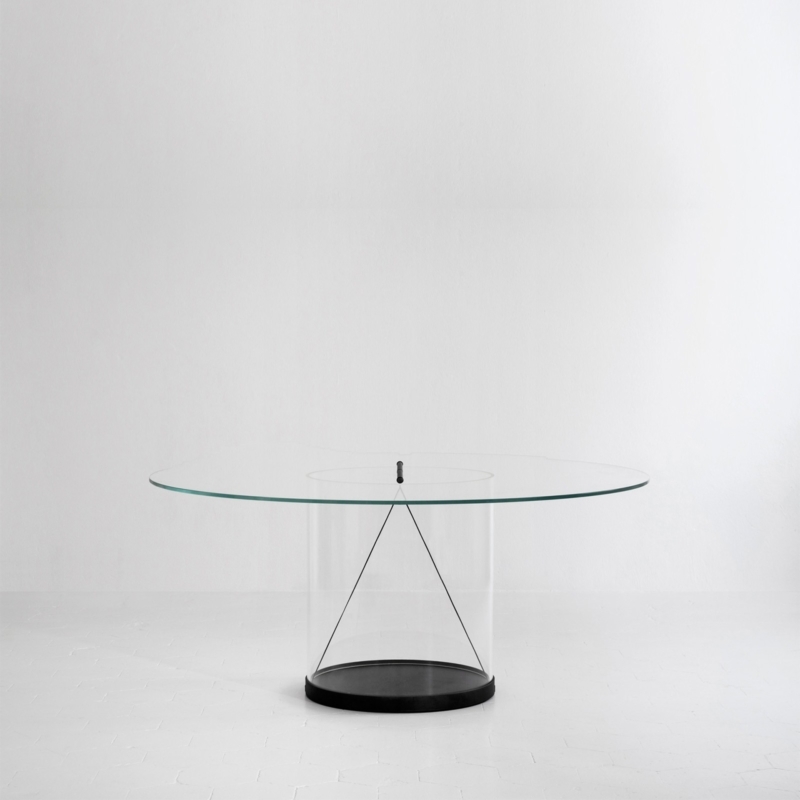 A groove under the glass top ensures that each of the elements is centered, while the bronzed steel base serves as a weight to increase the whole stability of the table.